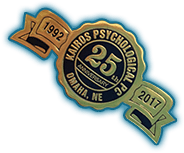 The therapists at Kairos Psychological, P.C. feel that one of the best books to give people a better understanding of relationships is The Dance of Intimacy, by Harriet Lerner. This book gives people direction for how to navigate close relationships without “triangulating.” It also offers ideas for how to reconnect lost relationships or to “hang in” with those relationships that are important but very difficult. It also offers ways to shape relationships toward new and healthier directions. Another book we recommend is Women Who Run with the Wolves, by Clarissa Pinkola Estes. This book helps both men and women connect with a deeper sense of self by seeing themselves in the archetypal motifs of stories such as fairy tales and myths. The reader will feel understood in a new way as she or he connects with the figures in these stories and reads Estes amplifications of the tales. When we have a deeper sense of who we are, we are able to make decisions that fit better for ourselves and then go on to live more authentic lives. Such experiences can relieve depression and anxiety. For couples, we suggest John Gottman’s The Seven Principles for Making Marriage Work. This book is based on years of research and offers couples understanding of what works in marriage and what doesn’t. There are concrete suggestions for improving the marriage as well as exercises that can reconnect couples for a more satisfying partnership. Dr. Karen Baumstark recommends The Four Agreements, by Don Miguel Ruiz, Circle of Stones, by Judith Duerk, and Meeting the Shadow: The Hidden Power of the Dark Side of Human Nature, Connie Zweig & Jeremiah Adams (Eds.). Cheryl Zurfluh Deck, M.S. recommends the following: Eternal Darkness by John O’Donohue, How to Be An Adult in Relationships, David Riccho, and Coming Apart by Daphne R. Kingma.